After months of pressure by Egypt, Israel, Russia and even the United States, Palestinian Authority chief Mahmoud Abbas has accepted the conditions of a “calming agreement” between Israel and Hamas, brokered by Egypt, a report said Thursday. Abbas’s agreement will enable the first stage of the deal between Israel and Hamas to move ahead unimpeded, the London-based Al Hayat newspaper said. 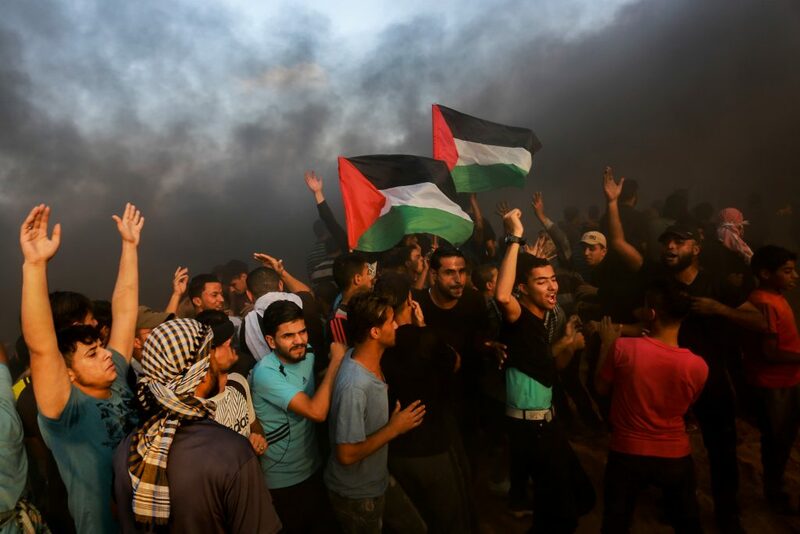 Officially termed a pre-ceasefire agreement, the deal entails Hamas halting its campaign of rioting at the Gaza border fence and its dispatching of terror balloons and kites into Israel, in exchange for a partial easing of the Israeli security restrictions on Gaza. If the agreement holds, it could be formalized as a ceasefire, and move on to more advanced stages, such as Israel receiving its missing soldiers and civilians who are held by Hamas in exchange for the release of Hamas terrorists from Israeli prisons. Abbas has opposed the agreement because it would also provide Hamas with funds supplied by Qatar to pay its terrorists – but even beyond that, it would turn Hamas into an official party to the dispute with Israel, essentially cementing its authority in Gaza. Abbas has for years sought to remove Hamas, so that his PA could return to control Gaza. Abbas met Egyptian President a-Sisi in Sharm el-Sheikh over the weekend, and according to Egyptian sources, Abbas at the end of the meeting praised a-Sisi for his efforts in working on the agreement. A-Sisi was quoted as saying that the agreement represented “an opportunity for Gaza residents to breathe more easily,” a sentiment Abbas reportedly agreed with. Meanwhile, thousands of students who are part of a march demanding quiet in the Gaza border area are set to arrive at the Knesset Thursday. The group started out Sunday from schools in the Gaza border area with several dozen youths, who were joined by teens as they walked towards Yerushalayim. The group that will arrive at the Knesset later Thursday numbers about 2,000, organizers said. Also participating are families of IDF soldiers who were killed in 2014’s Operation Protective Edge, the last full-blown war against Hamas.